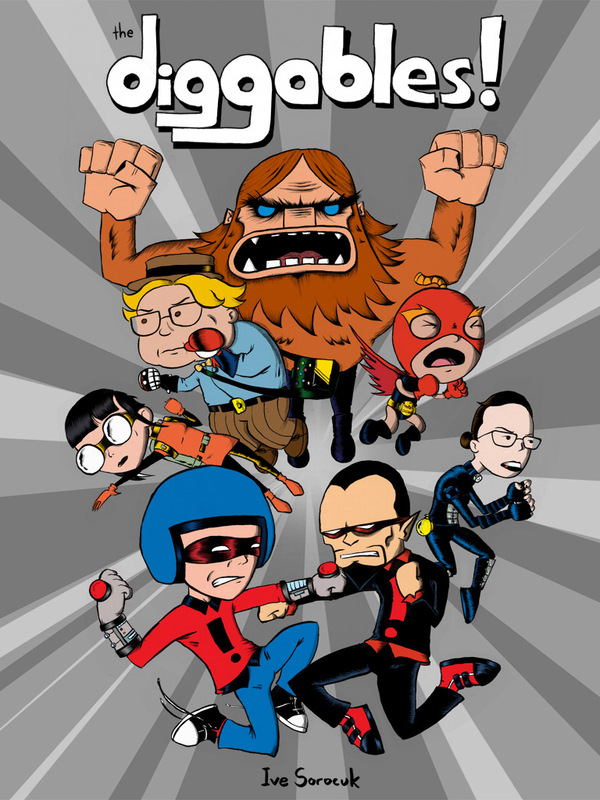 All four Diggables minicomics collected into one handy volume. 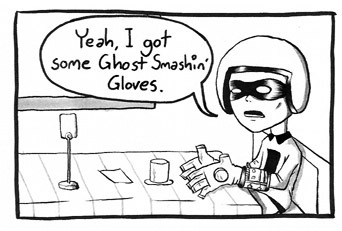 Kid Diggable has Ghost Smashing Gloves. Jetpack Jaguar has a jetpack. 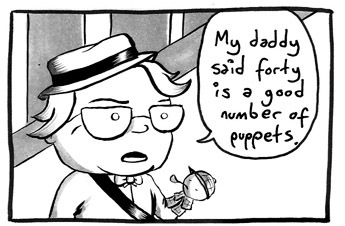 Dennis Forty Puppets has forty puppets.